However, falls are not a normal part of aging. The good news is that many falls are preventable. 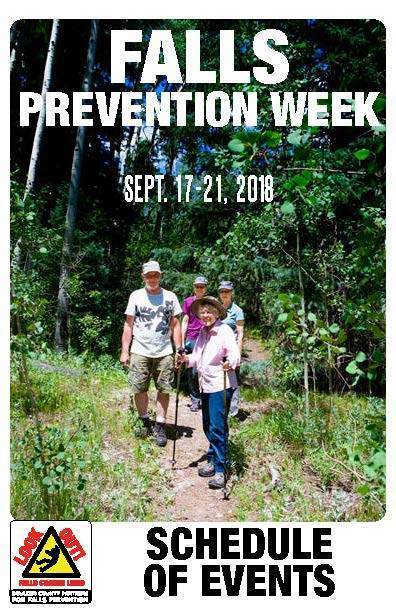 Learn how you can reduce your risk of falling during Boulder County’s Fall Prevention Week, Sept. 18 – 22. This annual event, coordinated by the Boulder County Area Agency on Aging, is held in conjunction with the National Falls Awareness Campaign. It is the result of a partnership with multiple organizations in the area that serve older adults. This year more than 40 activities are being offered without charge at 16 different locations throughout the county. There will be a wide range of activities available. 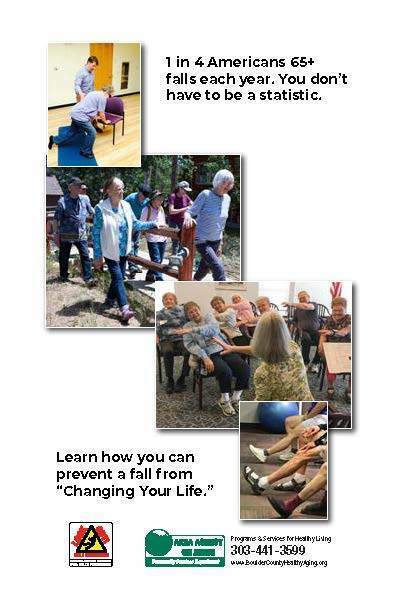 Maybe you’d like to try a T’ai Chi class or perhaps you’d like to know more about how Urological Conditions can contribute to falls. Check out our website: www.BoulderCountyHealthyAging.org to get the full schedule of events. You can also call 303-441-3599, or email mpruitt@bouldercounty.org for more information. 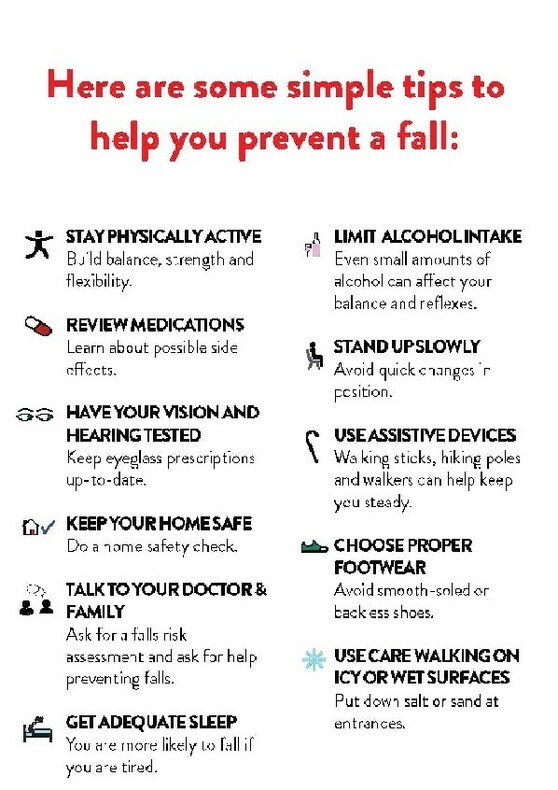 Click on the image below for a print-ready copy of Tips to Prevent Falls.